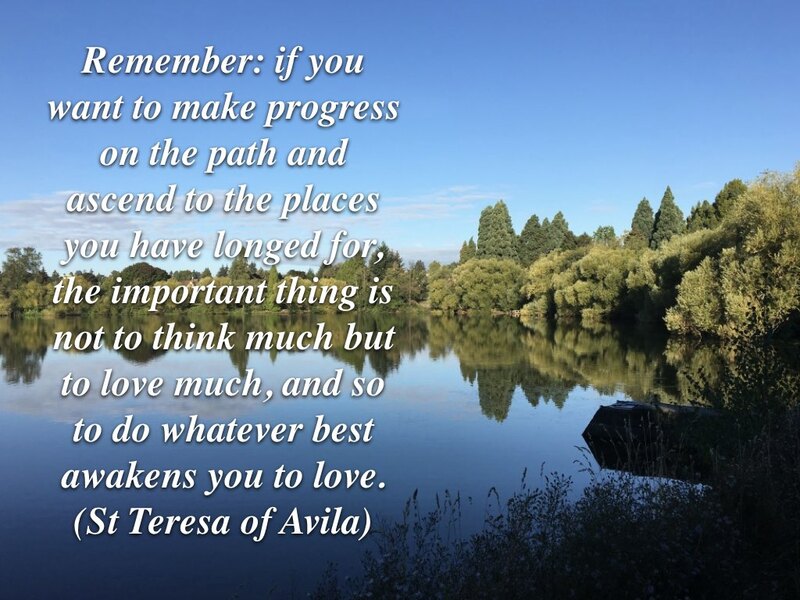 Over the weekend someone shared this quote from St. Teresa of Avila with me: “Remember: if you want to make progress on the path and ascend to the places you have longed for, the important thing is not to think much but to love much, and so to do whatever best awakens you to love.” It resonated in my soul. My theme for 2019 is “Let newness emerge” but I realize that the newness that emerges must be rooted in a deepening love relationship with God. 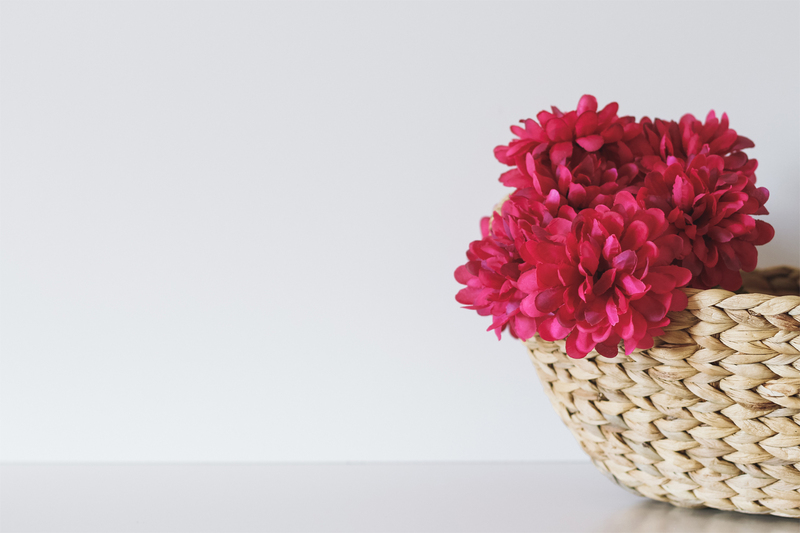 Newness might be the new seedling growing, but love is the fertile soil in which it is planted. What awakens us to love? How do we grow into a deeper measure of the love of God? As I look to the new year that is my prayer and my quest. The hatred and violence in our world seems to be growing. We don’t need more walls, more animosity to those who look different from us, or more self centeredness. We need more love. Love of self, love of neighbor, love of creation, and as an umbrella over it all – love of God. Prayer is not about getting down on our knees to talk to God. Nor is it about praying for the needs of the world. It is about falling in love and staying in love with God as we converse with and interact with the One who fills every fibre of our being. One of my guides through this journey has been this prayer by Father Arrupe. What awakens us to the love of God? What awakens us to the love of God who formed us with loving care, transforms us with a gentle touch, sustains us with compassion and comfort? What awakens us to the love of God so that we crave that intimate place of communion with the lover of our souls, not just when we sit down in a place of retreat but moment by moment, every day in the ordinary routines and activities of life? This is the question that I think is at the heart of the gospels. Jesus whole life is about teaching his disciples to love the God who is love. That is why James calls “love of God and love of neighbour” the royal law. That is why John, the son of thunder could become the apostle of love. That is why Jesus spent so much time drawing aside to quiet places to pray and why all the disciples longed to learn how to pray as Jesus prayed, not in a distant hands off relationship but in an intimate loving interaction that they saw permeate Jesus’ life and ministry. Learning to love someone means spending time in their presence, becoming familiar with their voice, gazing into their face. It means loving to stand in awe of what they have made, touching, tasting and relishing their love expressed through such creativity as we see in the faces of those around us and in the wonder of creation. It means learning to love what they love. To enter into a loving relationship with God means to desire what God loves – justice and mercy and compassion. Love for God means that our hearts ache with the things that tear God’s heart apart – sin and disease, injustice and violence. As we deepen our love relationship with God and grow into the fullness of our experience of God’s love we are able to love others and to love God’s creation too. The outpouring of God’s love into the lives of others is I believe one of the most profound expressions of prayer that there can be. 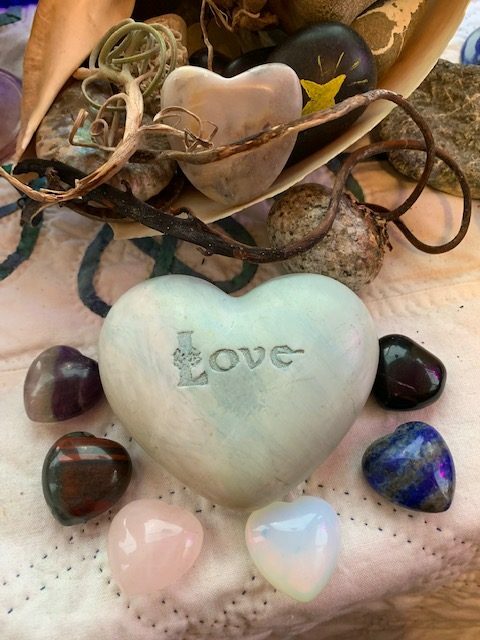 I love to collect heart shaped rocks and will often hold one in my hand while I reflect on the love of God. Some are naturally shaped by the waves or wind. Others, like the ones in this photo have been shaped by human hands, but they are equally as precious images of the love of God for me. Find something that is heart shaped. Hope it in your hand. Read the quote above several times. Ask yourself: Lord what do I need to do to be awakened more deeply to your love? Close your eyes and allow God to speak to you. if you don’t have something heart-shaped draw a heart on a piece of paper. Trace the heart several times with colored pencils or crayons. Read through the quote above several times. Ask yourself: Lord what do I need to do to be awakened more deeply to your love? Close your eyes and allow God to speak to you. What awakens you to the love of God? How do you plan to grow into that love and express that love in the coming year?